Why Digital Marketing Has Become More Important Than Traditional Marketing? To understand digital marketing, it is important to know traditional marketing. 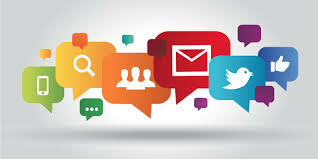 Advertising and marketing through traditional media like TV, radio and print are referred as traditional marketing. Digital marketing involves advertising and marketing through Internet. In this type of marketing, the effects of marketing can be analyzed with high accuracy. Advertisements that reach their target audience through Internet can be analyzed for different types of data. The data related to online marketing campaigns indicate how many people viewed the advertisement, how many of them responded to the ad, and how many of those people really purchased the product or service. This data is highly valuable for marketers. It is not possible for marketers advertising through traditional media to know how many people really watched their advertisements when broadcast through television. They cannot know how many people listened to their radio ad or viewed ads published in the print media. This is not the case with digital marketing where all types of analytical data are available immediately. The importance of digital marketing has become obvious due to increasing use of digital mediums to access information, news and entertainment. In fact, now there are radio and TV channels that are being broadcast or streamed through Internet. This has further increased the scope of marketing through digital media. Most of marketing options covered under digital marketing refer to promotion, marketing and advertisements that are carried out through Internet. There are a wide range of online marketing options for marketers. Businesses, organizations and professionals can use all these methods to reach their prospective customers and clients. These options include search engine optimization, website banner ads, email marketing, social media optimization and online video advertisement. A big advantage of these marketing options is that in most cases, the organization running the campaign can view the effects of marketing performance in real time. Access to marketing data helps refine and improve marketing campaigns. For example, if there is no response to a particular marketing campaign, it can be improved or discontinued. This is not possible when marketing is done through traditional media. In case of TV, radio and print media, the effects and results are known after months of running the marketing campaign. This is not the case with digital promotion. Due to these advantages, digital marketing has become a favorite with most advertisers and marketers. This entry was posted in digitalni marketing and tagged digital marketing, marketing, traditional marketing on August 28, 2016 by admin.